The Shepherd University Foundation accepted a significant gift in support of Shepherd’s All-Steinway Campaign. Made by Dr. Scott Beard, acting provost at Shepherd, and Alan Gibson, the gift will be used to purchase a Boston UP-126 Performance Edition upright piano designed by Steinway & Sons. 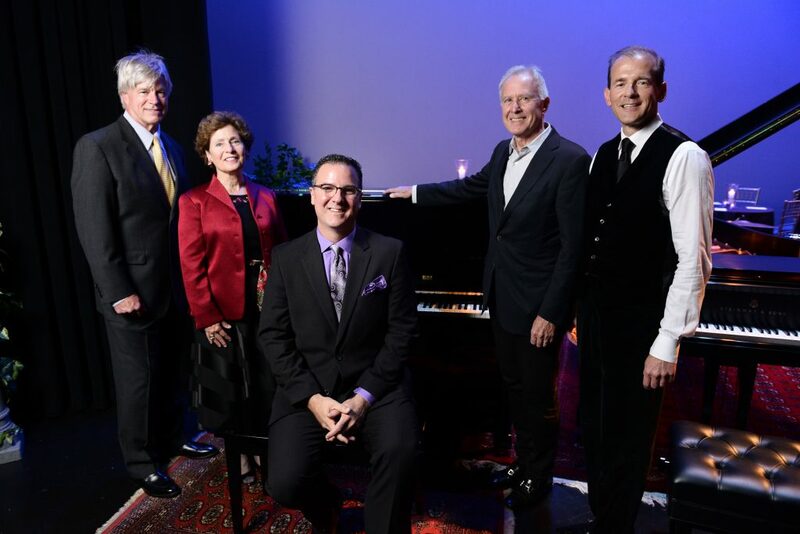 Pictured at the October 2017 announcement of Shepherd’s All-Steinway Campaign are (l. to r.) Chuck Craft, Shepherd President Mary J.C. Hendrix, Dr. Rob Tudor, Alan Gibson, and Acting Provost Scott Beard. Gibson and Beard have donated a Steinway Boston upright piano as part of Shepherd’s All-Steinway Campaign. To earn the All-Steinway School designation, 90 percent of the university’s pianos must be Steinway-made. Shepherd has committed to investing in 28 new Steinway & Sons pianos, ensuring that students studying and performing music on all levels will have access to the finest piano instruments in the world in every university practice room, teaching studio, and performance space. Considered the workhorse of the piano fleet, the Boston upright design purchased with Beard and Gibson’s gift will be utilized in faculty studios and classroom and rehearsal space throughout the Department of Music. The university seeks to procure a total of 17 Boston upright pianos. Beard and Gibson hope their gift inspires additional alumni, business partners, and music supporters to contribute to the All-Steinway Campaign. “We could hardly encourage others to donate to the All-Steinway Campaign if we didn’t first contribute ourselves,” said Gibson. For more information about the All-Steinway Campaign and how you may contribute through the Shepherd University Foundation, contact Stacy McFarland, director of annual giving, at 304-876-5526 or [email protected].